Questions have arisen regarding the economic data being released by Chinese officials. If Chinese economic data has been doctored, the three-year bull market in equities could be in peril. According to a report by Keith Bradsher of The Times of India, local and provincial officials in China have an incentive to make the economy appear better than it is. 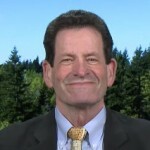 Promotions for government officials in China are affected by economic statistics, according to Bradsher. 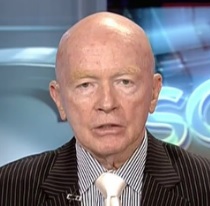 However, emerging markets expert Mark Mobius of Templeton Mutual Funds, is not worried about a perceived economic slowdown in China and is more confident in the reported numbers. SMA Comment: Coal companies have been in a severe bear market over the past several months which has been largely blamed on utilities converting power plants to natural gas and tighter emissions standards. However, Chinese electricity production may be an understated factor in their fall from grace. Investors have taken solace in the fact the Chinese have huge foreign exchange reserves, in excess of $3 trillion, which can be drawn upon to jump start their economy. However, investors need to be concerned how China’s export-oriented economy could be challenged by a global economic slowdown. The Chinese believe they will consume the world with their frugal and disciplined manifestations. They secretly chuckle as the U. S. creates wealth-destroying bubbles which weaken its core, while shifting power to a selfish money-grubbing elite. The Chinese will lay claim to the south China Sea, with more to come. Their future influence is something all citizens of the free world should fear. The Chinese communist threat must be muted with an increase in the defense budget.